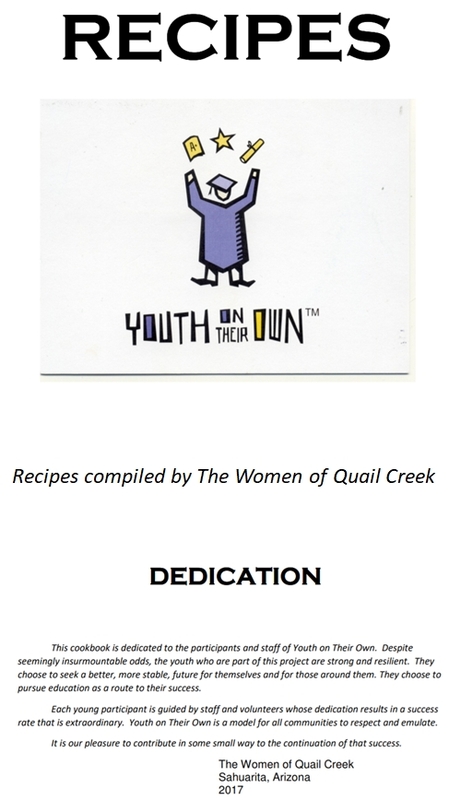 The TWOQC YOTO Committee collected recipes to create a cookbook for YOTO students. The recipes needed to be easy to follow and non-cook or require only a microwave. All recipes with simple ingredients were considered for inclusion however the committee also provided a list of items that are always available in the YOTO pantry.